Pg. 69: Clarissa Harwood's "Bear No Malice"
Featured at the Page 69 Test: Bear No Malice: A Novel by Clarissa Harwood. The Page 69 Test: Bear No Malice. 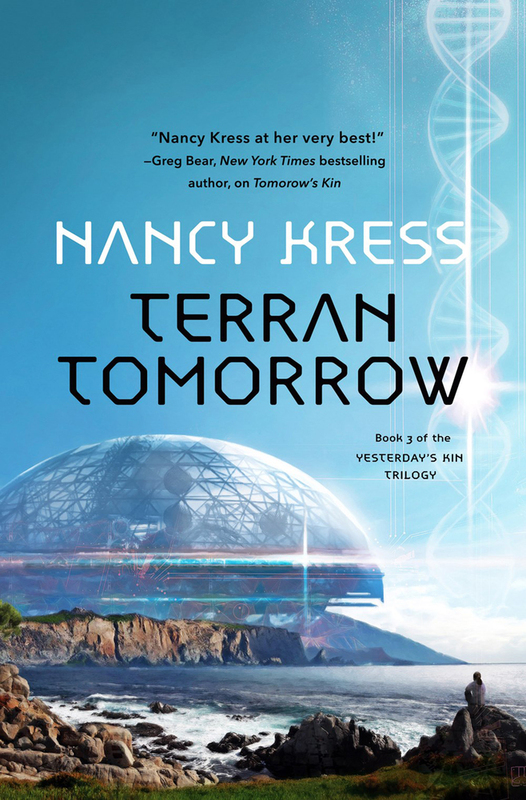 Featured at My Book, The Movie: Terran Tomorrow: Yesterday's Kin Trilogy (Volume 3) by Nancy Kress. My Book, The Movie: Terran Tomorrow. 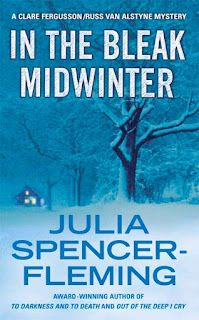 The Vinceys throw a party on New Year's Day, and one of the guests, the kind vicar Mr Farebrother, sees the tensions that go unperceived by his jolly hosts. 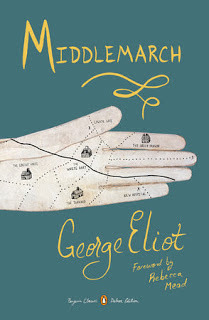 Rosamond has become bored by her husband; Lydgate is preoccupied by his money problems; Fred Vincey is jealous of Mr Farebrother's attentions to Mary Garth. Happy New Year. Middlemarch also made Boris Kachka's list of twenty-six very long books worth the time, Mary Gordon's list of ten desert island books, Kirsty Gunn's top ten list of books about unrequited love, Jeff Somers's top five memorable books set on New Year’s Eve (and Day), Lauren Groff's list of six favorite portrayals of marriage in literature, John Mullan's lists of ten of the best bankers in literature, ten of the best marital rows, ten of the best examples of unrequited love, ten of the best funerals in literature, and ten of the best deathbed scenes in literature. It is among Emrys Westacott's five top books on philosophy & everyday living, Selma Dabbagh's top 10 stories of reluctant revolutionaries, Philip Pullman's six best books, Rebecca Goldstein's five best of novels of ideas, Tina Brown's five best books on reputation, Elizabeth Kostova favorite books, and Miss Manners' favorite novels. 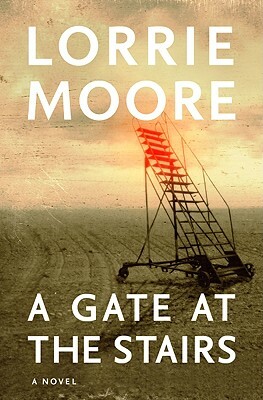 John Banville and Nick Hornby have not read it. 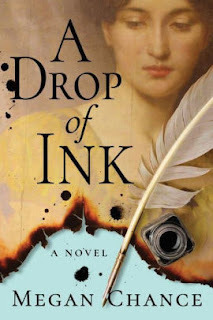 What is Leslie Archer reading? 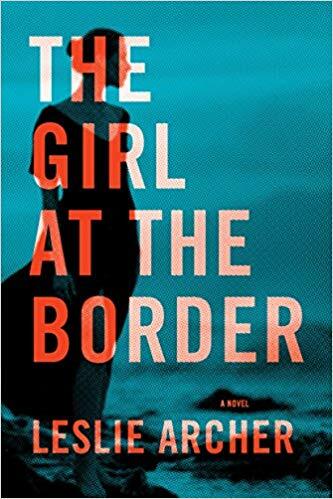 Featured at Writers Read: Leslie Archer, author of The Girl at the Border: A Novel. 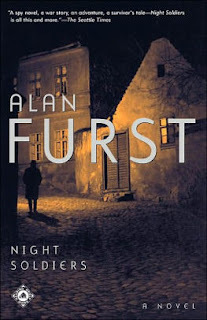 Over the last 30 years, Furst has established himself as the towering figure of historical spy fiction. Night Soldiers is a portrait of the clash between Nazi Germany and the early Soviet state as they struggled for influence in Europe and the Eastern bloc. 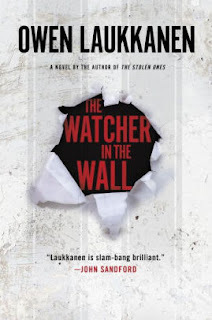 In Bulgaria, Soviet spies recruit a young man from named Khristo Stoianev. He’s shipped off to serve the cause in Spain, where the Civil War is raging and all the key international players are assembling. When Khristo’s name ends up on the wrong side of a purge coming to Moscow, he takes off for Paris and ultimately falls in with the Resistance. The settings are always intoxicating in Furst’s novels, nowhere more so than in Night Soldiers, which is brimming with life in a wildly tumultuous time. Pg. 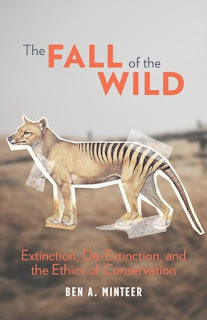 99: Ben Minteer's "The Fall of the Wild"
Featured at the Page 99 Test: The Fall of the Wild: Extinction, De-Extinction, and the Ethics of Conservation by Ben A. Minteer. 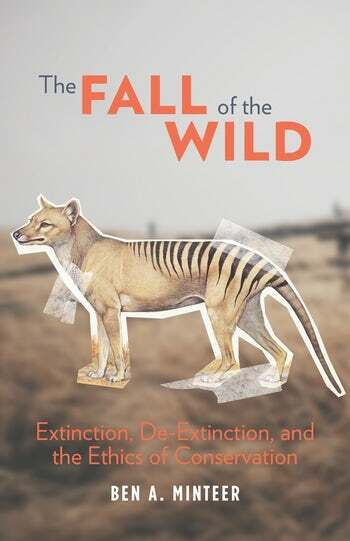 The Page 99 Test: The Fall of the Wild. Meghan O'Gieblyn is a writer who lives in Wisconsin. Her essays have appeared in Harper's Magazine, n+1, The Point, Boston Review, The Guardian, Ploughshares, newyorker.com, The Paris Review, and Tin House, and have been included in the Pushcart Prize anthologies and in The Best American Essays 2017. 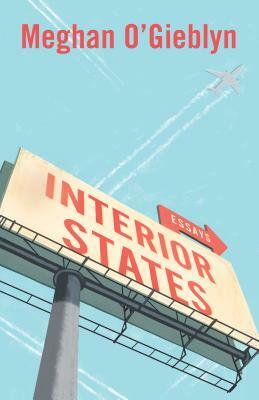 She is the author of the essay collection Interior States. Pg. 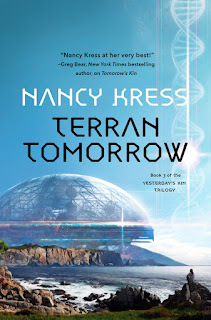 69: Nancy Kress's "Terran Tomorrow"
Featured at the Page 69 Test: Terran Tomorrow: Yesterday's Kin Trilogy (Volume 3) by Nancy Kress. What is D.J. Daniels reading? Featured at Writers Read: DJ Daniels, author of Green Jay and Crow. Like Eva, a 3D-printed copy of another woman, built to be disposable.She should have disintegrated days ago... and she hasn’t. Pg. 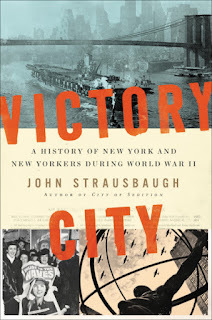 99: John Strausbaugh's "Victory City"
Featured at the Page 99 Test: Victory City: A History of New York and New Yorkers during World War II by John Strausbaugh. The Page 99 Test: Victory City. Reverend Jane Willan is a parish minister and author in Paxton, Massachusetts. She serves the First Congregational Church of Paxton and lives in the church parsonage with her husband Don and their two rescue dogs, Magi and Moses. 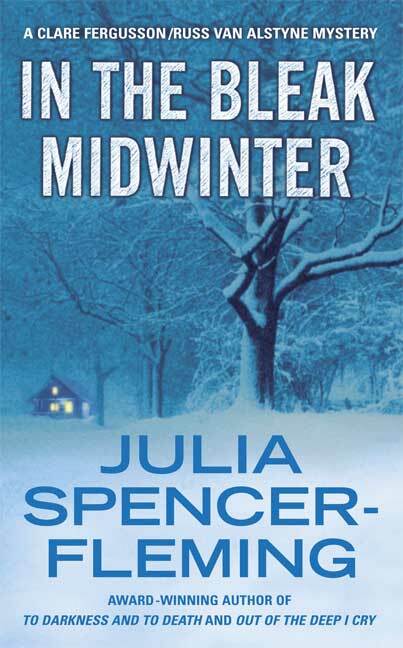 She is the author of the Sister Agatha and Father Selwyn Mysteries. Pg. 69: Leslie Archer's "The Girl at the Border"
Featured at the Page 69 Test: The Girl at the Border: A Novel by Leslie Archer. 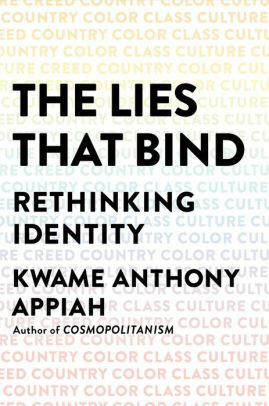 In the inaugural year of the Literature for Justice program, the committee felt it essential that readers were given an understanding of mass incarceration’s origin story—how it is that the United States came to imprison more people than any other country in the world—as well as some thoughts on how we might imagine a more humane and equitable justice system in the future. 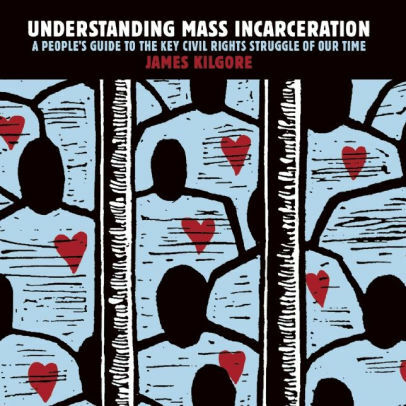 In ways powerfully and accessibly James Kilgore’s Understanding Mass Incarceration: A People’s Guide to the Key Civil Rights Struggle of Our Time offers just this sort of historical background while also helping us all to appreciate the the vast reach and destructive impact of today’s carceral apparatus and why we should indeed try to create a different justice future. 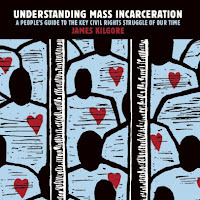 Kilgore, a formerly incarcerated educator himself, narrows the lens on the complexities of mass incarceration, offering readers history, critique, and a blueprint for moving forward which makes this book an essential selection to include in the launch of this initiative. Featured at My Book, The Movie: The River Widow by Ann Howard Creel. My Book, The Movie: The River Widow. Henry Jeffreys is a journalist who writes about wine and other drinks in the Guardian, Spectator and Food & Wine. 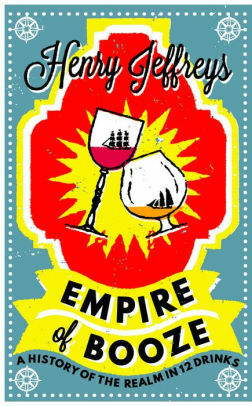 He is the author of Empire of Booze. No apologies for including such an obvious choice. So useful have the Bond novels been to drink writers and the drinks industry that there should be statues of James Bond (preferably as Roger Moore in a safari suit) outside Diageo HQ and Bollinger. I’ve picked Casino Royale as it has given us a cocktail, the Vesper martini: made with “three measures of Gordon’s gin, one of vodka, half a measure of Kina Lillet. Shake it very well until it’s ice cold.” It is especially good made with a decent Polish potato vodka. Casino Royale also made Jeff Somers's list of eight books or series that make great party themes, Alan Judd's list of five favorite spy novels, Maddie Crum's top ten fictional characters who just might be psychopaths, Lee Child's list of six favorite debut novels, Danny Wallace's six best books list, Mary Horlock's list of the five best psychos in fiction, John Mullan's list of ten of the best floggings in fiction, Meg Rosoff's top ten list of adult books for teenagers, and Peter Millar's critic's chart of top spy books. 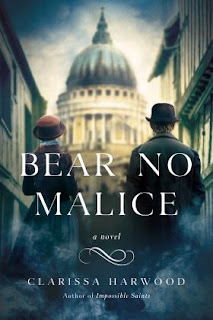 What is Susan Furlong reading? 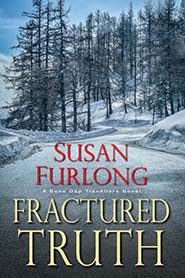 Featured at Writers Read: Susan Furlong, author of Fractured Truth: Bone Gap Travellers Novel #2. The Page 69 Test: Splintered Silence. “It’s the work that brought down a presidency and launched a thousand reporting careers,” as Alex Altman put it in TIME. 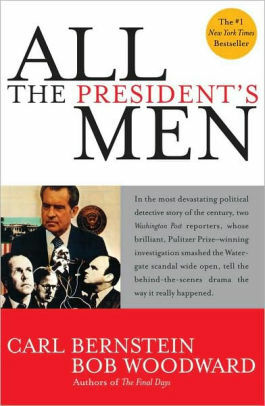 “It remains a testament to the power of shoe-leather reporting—and is perhaps the most influential piece of journalism in history.” Yes, Woodward and Bernstein changed the country with this book—or, to be precise, first with their reporting on Nixon and the Watergate scandal, next with this book, and finally with the film adaptation, because Robert Redford makes anything go down smoother. This, of course, was back in the 70s, when disco was in, we all had shag carpets, and Congress actually cared whether or not the American president was a corrupt liar. 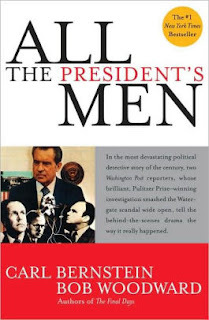 Indeed, Nixon resigned only a few months after the book’s publication. Better days, friends. Pg. 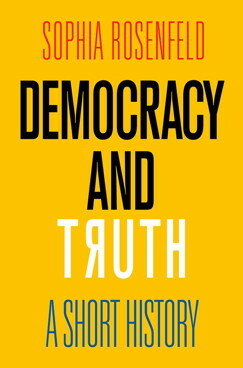 99: Sophia Rosenfeld's "Democracy and Truth: A Short History"
Featured at the Page 99 Test: Democracy and Truth: A Short History by Sophia Rosenfeld. "Fake news," wild conspiracy theories, misleading claims, doctored photos, lies peddled as facts, facts dismissed as lies—citizens of democracies increasingly inhabit a public sphere teeming with competing claims and counterclaims, with no institution possessing the authority to settle basic disputes in a definitive way. The problem may be novel in some of its details—including the role of political leaders, along with broadcast and digital media, in intensifying the epistemic anarchy—but the challenge of determining truth in a democratic world has a backstory. 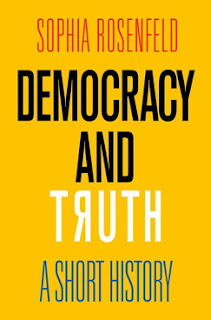 In this lively and illuminating book, historian Sophia Rosenfeld explores a longstanding and largely unspoken tension at the heart of democracy between the supposed wisdom of the crowd and the need for information to be vetted and evaluated by a learned elite made up of trusted experts. What we are witnessing now, under the pressure of populism, is the unraveling of the détente between these competing aspects of democratic culture. In four bracing chapters, Rosenfeld substantiates her claim by tracing the history of the vexed relationship between democracy and truth. She begins with an examination of the period prior to the eighteenth-century Age of Revolutions, where she uncovers the political and epistemological foundations of our democratic world. Subsequent chapters move from the Enlightenment to the rise of technocratic notions of democracy during the nineteenth century to the troubling trends—including the collapse of social trust—that have led to the rise of our "post-truth" public life. Rosenfeld concludes by offering suggestions for how to defend the idea of an extra-political truth against the forces that would undermine it. The Page 99 Test: Democracy and Truth. 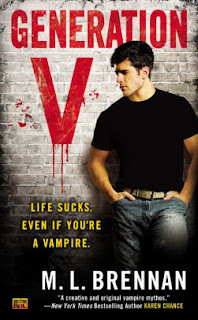 Generation V is another book that I discovered from a Tor.com post and I’m so glad I did. 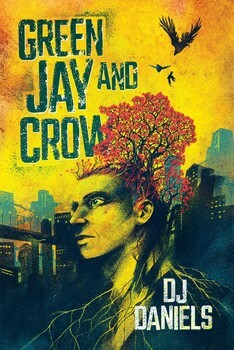 The cover is fairly generic urban fantasy and in no way conveys how funny and different this book is. Fortitude Scott is not a badass alpha male fighting his way through anything. He’s a broke film major working crappy jobs and doing his best to avoid becoming a vampire. His bodyguard is a kitsune who spends more time messing with him than actually protecting him. The whole Generation V series is full of fun and interesting mythology, snarky dialogue, and characters you can’t help but love. And Fort, man, you just can’t help feel bad for the guy doing his best to avoid his genetic fate. What is Ann Howard Creel reading? 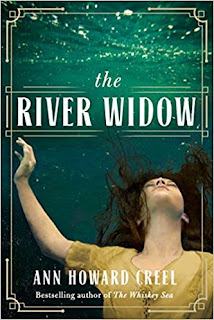 Featured at Writers Read: Ann Howard Creel, author of The River Widow. Cressida Cowell is an English children’s author, best known for the novel series, How to Train Your Dragon. Six centuries after an unknown poet wrote down his story of Gawain and the Green Knight, I still feel a shiver of shock when Gawain chops off the Green Knight’s head and the knight reaches down and picks it up from the ground. From that moment, the clock is ticking for Gawain. 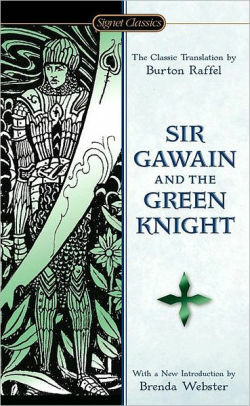 In a year and a day’s time, the Green Knight will come back and Gawain will have to allow him one blow at his own neck in return. 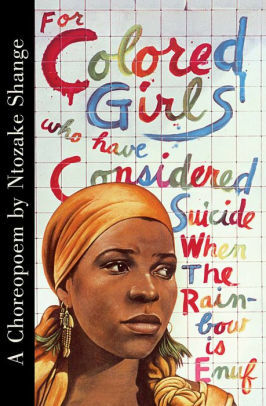 There’s a message in this extraordinary poem that could not be more relevant to modern times. Respect nature, poor humans. Be humble in the face of forces larger than yourself. Be kind, and who knows? The axe of the Green Knight may be merciful in return. 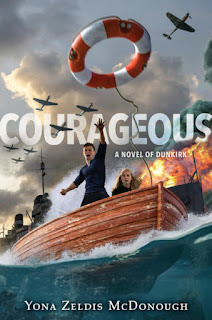 Read about another book Cowell tagged. Pg. 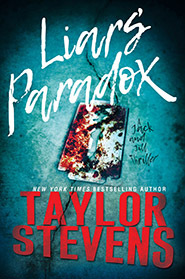 69: Taylor Stevens's "Liars' Paradox"
Featured at the Page 69 Test: Liars' Paradox: A Jack and Jill Thriller #1 by Taylor Stevens. The Page 69 Test: Liars' Paradox. Pg. 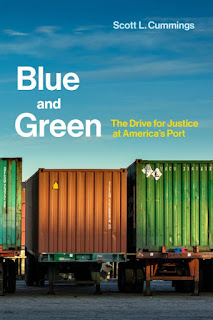 99: Scott L. Cummings's "Blue and Green: The Drive for Justice at America’s Port"
Featured at the Page 99 Test: Blue and Green: The Drive for Justice at America's Port by Scott L. Cummings. How an alliance of the labor and environmental movements used law as a tool to clean up the trucking industry at the nation's largest port. 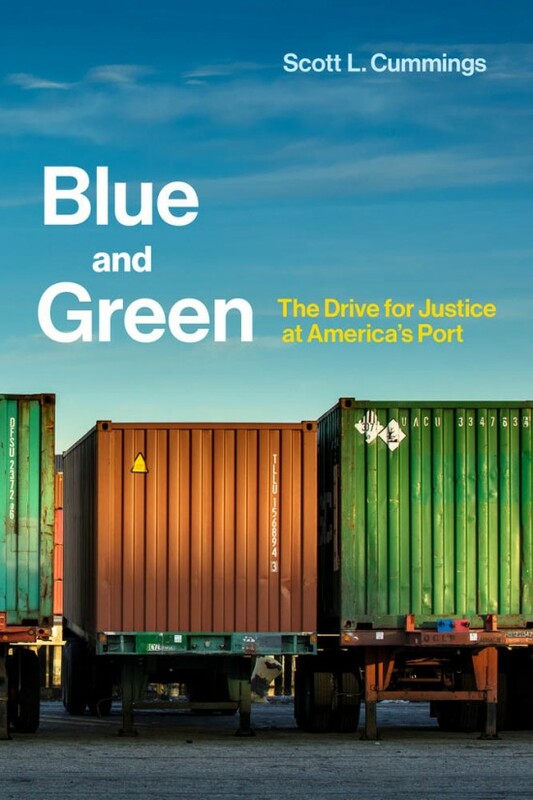 In Blue and Green, Scott Cummings examines a campaign by the labor and environmental movements to transform trucking at America's largest port in Los Angeles. Tracing the history of struggle in an industry at the epicenter of the global supply chain, Cummings shows how an unprecedented “blue-green” alliance mobilized to improve working conditions for low-income drivers and air quality in nearby communities. The campaign for “clean trucks,” Cummings argues, teaches much about how social movements can use law to challenge inequality in a global era. Cummings shows how federal deregulation created interrelated economic and environmental problems at the port and how the campaign fought back by mobilizing law at the local level. He documents three critical stages: initial success in passing landmark legislation requiring port trucking companies to convert trucks from dirty to clean and drivers from contractors to employees with full labor rights; campaign decline after industry litigation blocked employee conversion; and campaign resurgence through an innovative legal approach to driver misclassification that realized a central labor movement goal—unionizing port truckers. Appraising the campaign, Cummings analyzes the tradeoffs of using alternative legal frameworks to promote labor organizing, and explores lessons for building movements to regulate low-wage work in the “gig” economy. He shows how law can bind coalitions together and split them apart, and concludes that the fight for legal reform never ends, but rather takes different turns on the long road to justice. The Page 99 Test: Blue and Green. William Finnegan is a staff writer at The New Yorker. 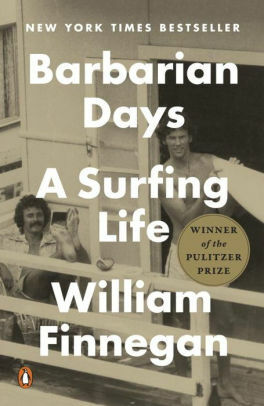 His latest book is Barbarian Days: A Surfing Life. The first volume in the Neapolitan quartet, this one changes in the mind’s eye if you’re pulled, as I am, helplessly through the subsequent books, with its primal scenes from early childhood deepening throughout. 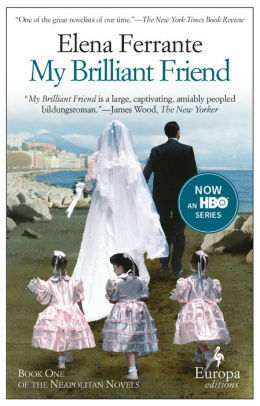 Is there a better portrait of friendship in literature than the story of Elena Greco, the narrator, and her brilliant friend, Lila Cerullo? Elena escapes the old neighborhood, and the poverty of postwar Naples, through education, but Lila remains the incandescent figure. The tormented power of their relationship never flags, through “The Story of a New Name,” “Those Who Leave and Those Who Stay,” and the devastating “The Story of a Lost Child.” I hear the TV series is good. The books are a universe. 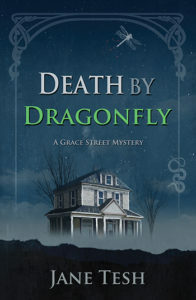 Featured at Writers Read: Jane Tesh, author of Death by Dragonfly: A Grace Street Mystery. The Page 69 Test: Mixed Signals. The Page 69 Test: Now You See It. 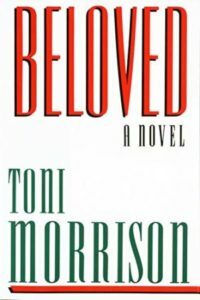 Beloved also appears on Megan Abbott's list of six of the best books based on true crimes, Melba Pattillo Beals's 6 favorite books list, Sarah Porter's list of five favorite books featuring psychological hauntings, Matthew Fellion and Katherine Inglis' list of ten books that were subject to silencing or censorship, Jeff Somers's list of ten fictional characters based on real people, Christopher Barzak's top five list of books about magical families, Ayelet Gundar-Goshen's ten top list of wartime love stories, Judith Claire Mitchell's list of ten of the best (unconventional) ghosts in literature, Kelly Link's list of four books that changed her, a list of four books that changed Libby Gleeson, The Telegraph's list of the 15 most depressing books, Elif Shafak's top five list of fictional mothers, Charlie Jane Anders's list of ten great books you didn't know were science fiction or fantasy, Peter Dimock's top ten list of books that challenge what we think we know as "history", Stuart Evers's top ten list of homes in literature, David W. Blight's list of five outstanding novels on the Civil War era, John Mullan's list of ten of the best births in literature, Kit Whitfield's top ten list of genre-defying novels, and at the top of one list of contenders for the title of the single best work of American fiction published in the last twenty-five years. Pg. 69: Yona Zeldis McDonough's "Courageous"
Featured at the Page 69 Test: Courageous by Yona Zeldis McDonough. The Page 69 Test: Courageous. Pg. 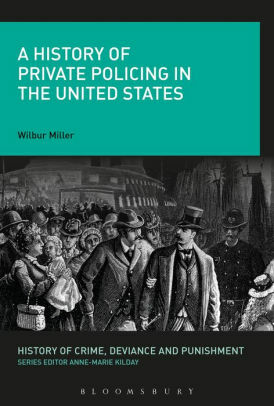 99: Wilbur R. Miller's "A History of Private Policing in the United States"
Featured at the Page 99 Test: A History of Private Policing in the United States by Wilbur R. Miller. Private law enforcement and order maintenance have usually been seen as working against or outside of state authority. A History of Private Policing in the United States surveys private policing since the 1850s to the present, arguing that private agencies have often served as a major component of authority in America as an auxiliary of the state. Wilbur R. Miller defines private policing broadly to include self-defense, stand your ground laws, and vigilantism, as well as private detectives, security guards and patrols from gated community security to the Guardian Angels. He also covers the role of detective agencies in controlling labor organizing through spies, guards and strikebreakers. 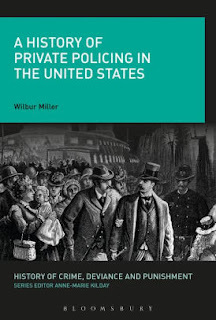 A History of Private Policing in the United States is an overview integrating various components of private policing to place its history in the context of the development of the American state. The Page 99 Test: A History of Private Policing in the United States. What is Scott E. Page reading? 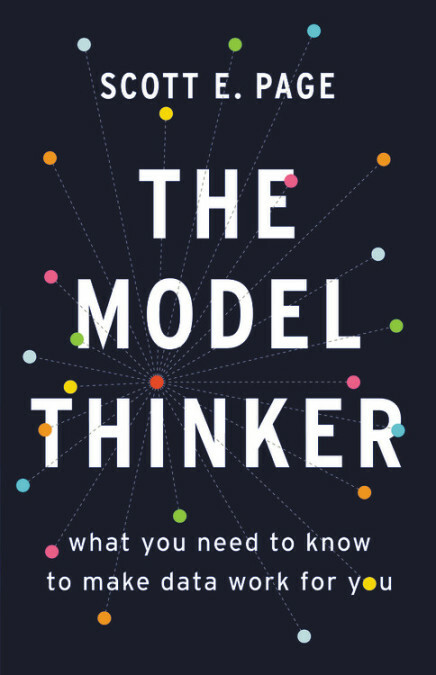 Featured at Writers Read: Scott E. Page, author of The Model Thinker: What You Need to Know to Make Data Work for You. Writers Read: Scott E. Page. 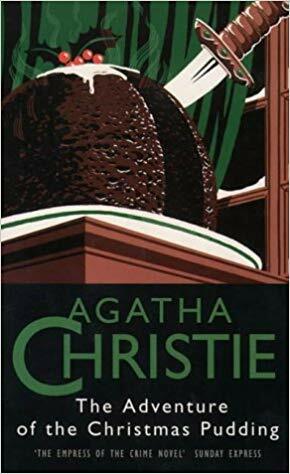 In The Adventure of the Christmas Pudding, Hercule Poirot’s hosts have promised “an old-fashioned Christmas in the English countryside”. On Christmas Day, they provide oyster soup, two turkeys, crystallised fruits and ginger, mince pies and a plum pudding – with a ruby hidden in the centre. I will be spending Christmas night reading Christie, with a box of crystallised ginger beside me. 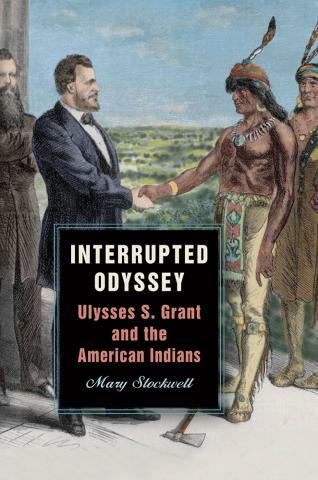 Featured at My Book, The Movie: Interrupted Odyssey: Ulysses S. Grant and the American Indians by Mary Stockwell. 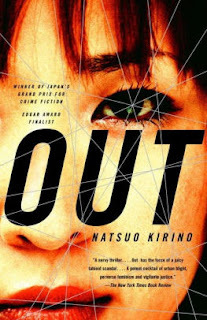 My Book, The Movie: Interrupted Odyssey. Uzoamaka Nwanneka "Uzo" Aduba is a Nigerian-American actress. She is known for her role as Suzanne "Crazy Eyes" Warren on the Netflix original series Orange Is the New Black, for which she won an Emmy Award for Outstanding Guest Actress in a Comedy Series in 2014, an Emmy Award for Outstanding Supporting Actress in a Drama Series in 2015, and two Screen Actors Guild Awards for Outstanding Performance by a Female Actor in a Comedy Series in 2014 and 2015. My tribe were the primary victims of this wretched war, and like most who have survived the sights of war, they don’t like to talk about it because they are hard, very real memories. 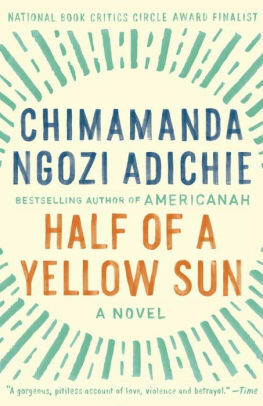 I knew pieces of my family’s story during this time, but when I read this book, I felt like I suddenly understood who my parents, aunts, and uncles were and what part of their formative years had entailed. 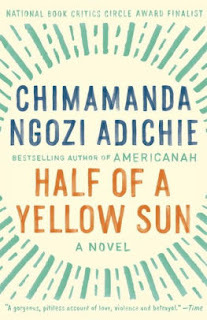 Half of a Yellow Sun is among Barnaby Phillips's ten top books about Nigeria, Pushpinder Khaneka's three best books on Nigeria, and Lorraine Adams's six best books. Pg. 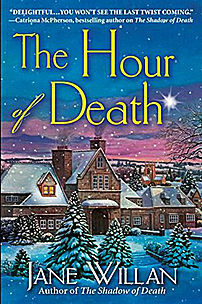 69: Jane Tesh's "Death by Dragonfly"
Featured at the Page 69 Test: Death by Dragonfly: A Grace Street Mystery by Jane Tesh. Maureen Lindley, born in Berkshire and raised in Scotland and England, was trained as a psychotherapist. 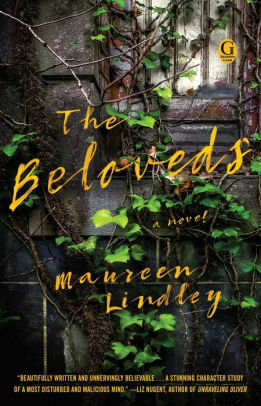 She is the author of the novels The Private Papers of Eastern Jewel, A Girl Like You, and The Beloveds. 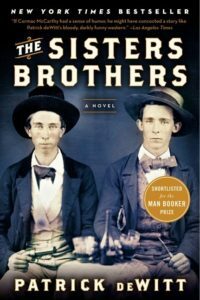 The book opens in 1851 in Oregon City when the lust for gold has the brothers, Eli and Charlie Sisters, on the road to California. 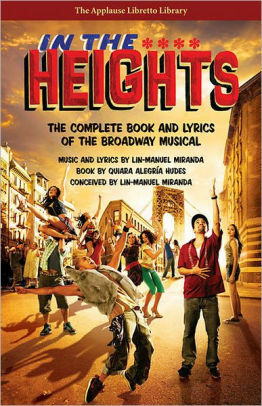 On their journey they cross paths with a stunning list of characters: bad women, manipulators and losers, cheats and lovers. 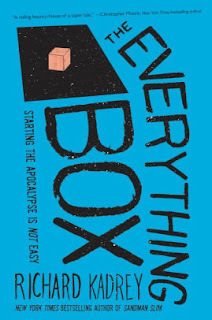 Charlie is a hard man who will do anything to get what he wants, Eli is influenced by Charlie but is in the midst of questioning his way of life. Think fireworks, think energy, think deeply dark and surprisingly funny, and you will be halfway to knowing all the goodies that await you in this book. Pg. 99: Benjamin Mangrum's "Land of Tomorrow"
New from the Page 99 Test: Land of Tomorrow: Postwar Fiction and the Crisis of American Liberalism by Benjamin Mangrum. 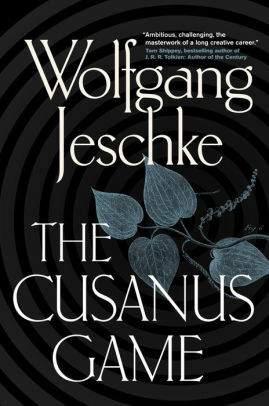 To account for these changes in American liberal sentiment, Benjamin Mangrum looks to some of the most influential writers, critics, and intellectuals of the postwar decades-including Ralph Ellison, Vladimir Nabokov, Lionel Trilling, Flannery O'Connor, and Saul Bellow, as well as the American reception of Friedrich Nietzsche, Sigmund Freud, Franz Kafka, and many other European thinkers. By revising established accounts of this body of cultural work, Mangrum charts the legitimization of new political sensibilities within the nation's intellectual life. These sensibilities opposed a social democratic order and unleashed a new kind of liberalism, one which centered on ideas about authenticity, alienation, self-management, psychological templates for societal problems, and private judgments of value. This confluence of literary, intellectual, and political history gives us a window onto the basic assumptions and key conceptual terrain of liberal thought after 1945. 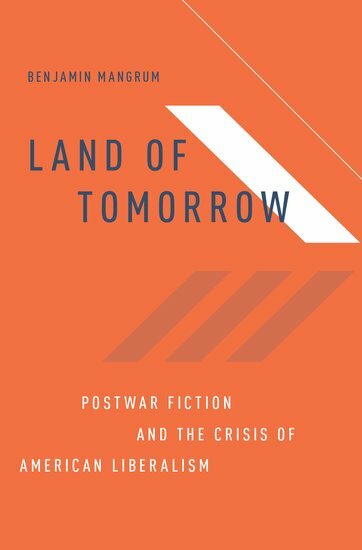 Land of Tomorrow thus offers a provocative cultural prehistory of political thinking's forms that remain with us today. The Page 99 Test: Land of Tomorrow. 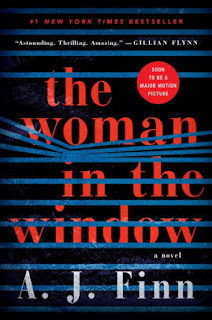 What is Debra H. Goldstein reading? Pg. 69: Kitty Zeldis's "Not Our Kind"
Pg. 99: Alan Cumyn's "North to Benjamin"
Pg. 99: Sonja Thomas's "Privileged Minorities"
Pg. 69: Debra H. Goldstein's "One Taste Too Many"
Pg. 99: Adrienne Mayor's "Gods and Robots"
Pg. 69: Ann Howard Creel's "The River Widow"
What is Ellie Alexander reading? Pg. 69: Sarah Bailey's "Into The Night"
Pg. 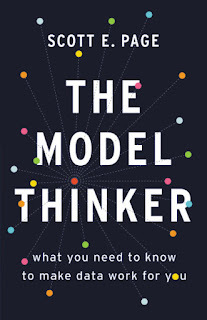 99: Scott E. Page's "The Model Thinker"
What is Kitty Zeldis reading? Pg. 99: Ralina Joseph's "Postracial Resistance"
Pg. 69: Sara Driscoll's "Storm Rising"
What is Fran Hawthorne reading? What is G. A. McKevett reading? Pg. 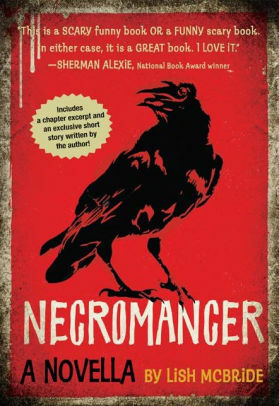 69: Ellie Alexander's "The Pint of No Return"
Pg. 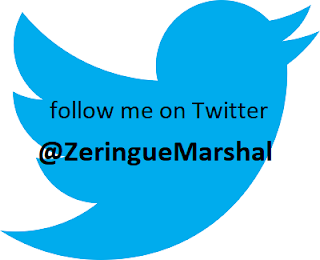 99: John Zubrzycki's "Empire of Enchantment"
Pg. 69: Constantine J. Singer's "Strange Days"
What is Alan Cumyn reading? Pg. 99: Daniel T. Rodgers's "As a City on a Hill"
What is Harriet Brown reading? Pg. 69: G.A. McKevett's "Murder in Her Stocking"
What is John Zubrzycki reading? Pg. 69: Fran Hawthorne's "The Heirs"